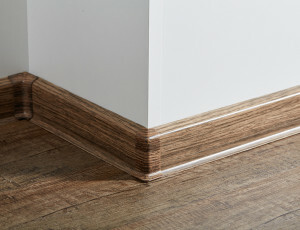 Our offer includes a number of décors that imitate timber species such as oak, maple, chestnut or walnut. The collection is exceptional for its authentic natural wood texture – not only visually but, due to its surface structure, also to the touch. Our portfolio includes a wide range of flooring shades, from light beige, cappuccino or shades of grey, to dark brown. We believe that the floor is no longer just something purely practical and essential today; it is also an important decorative element, which sets the mood of the whole interior. 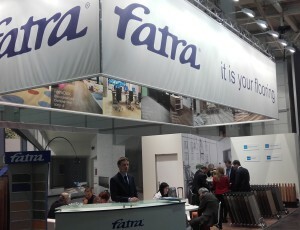 Therefore FatraClick floorings strive to keep abreast of the latest trends in the sector. 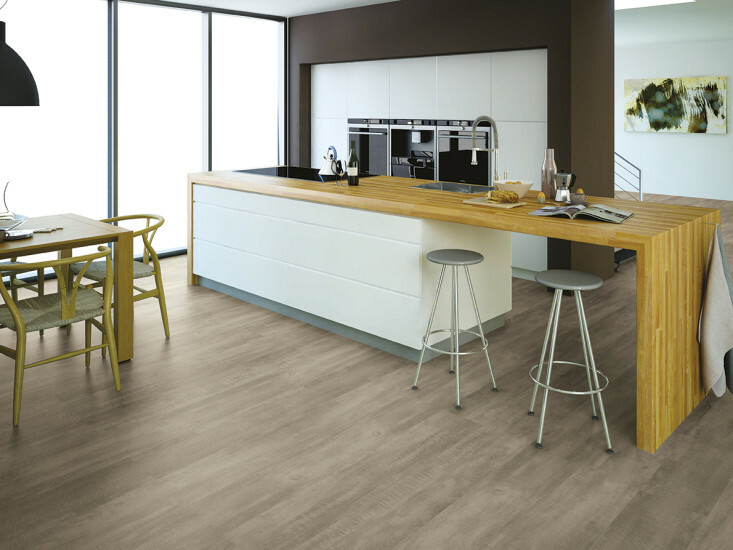 The FatraClick design conveniently combines the benefits of vinyl and conventional floating floors, thus lending great properties to this flooring. Firstly, it is easy to install, using the patented UNICLIC locking system. Therefore you can lay your FatraClick by yourself, without having to use adhesives and expensive tools. Just combine the individual tiles by ‘locking’ them in place. Once installed, the flooring is ready for use and load. Some of the other benefits include the minimum maintenance requirements or resistance of the flooring. FatraClick keeps the wood properties, such as warmth and cosiness, ensures low noise, and is also suitable for underfloor heating. This floor covering is composed of three basic layers. The notional middle layer of the flooring consists of an HDF board with increased resistance to moisture, which is equipped with a soundproofing cork layer at the bottom. Polyurethane PVC material with a wear layer is used at the top. FatraClick is manufactured in the 1235 × 230 mm format and the total thickness of 9.5 mm, of which the wear layer thickness is 0.40 mm.